Forty-two years ago, a guy named Bill Deputy (right) started collecting hair clippings from Seattle barbor shops and figured out a way to attach them to a Ford belonging to his friend Don Hiltbruner (left). 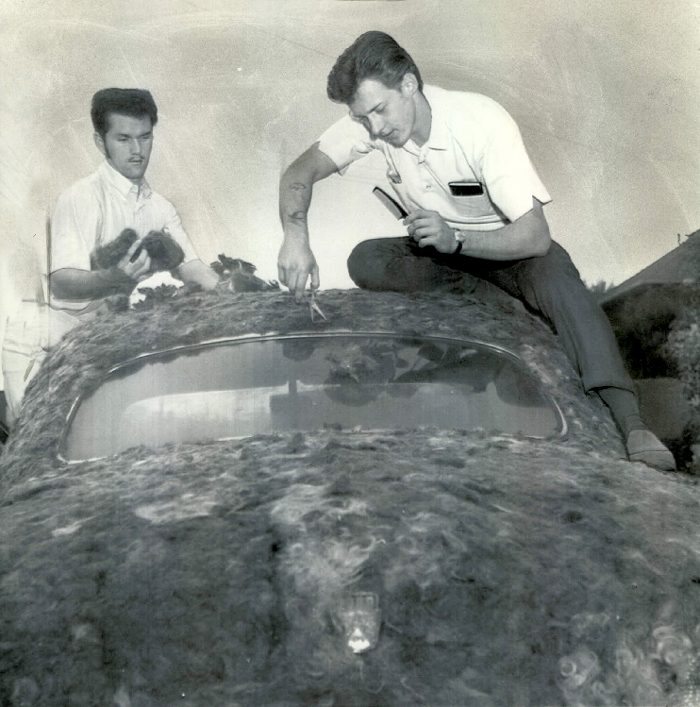 "The clippings are attached to the car with an undercoating, then trimmed to uniformity. After completely covering the car, shellac will be added and the surface polished." It looks like Robin William's forearm and you can drag race it. Now that is an art car. Also, Bill and Don dressed better than you, had better tattoos, and way better hair.